I have been working on and building banjos since I was a pre teen. I have always loved them and have an obsession with their tone and playability. I am one of the rare few who get to perform restoration and maintenance on original Gibson, flathead 5-string banjos from collectors and performers from all over. This is a high honor and I do not take it lightly. The extra care that must be taken when repairing these fragile and rare banjos is above and beyond that needed on most modern ones. For that reason, I have developed an eye for the smallest detail. From getting your banjo to play at the top of it’s potential to a new head or buzz diagnostics and correction, I can do it all, and have for years. 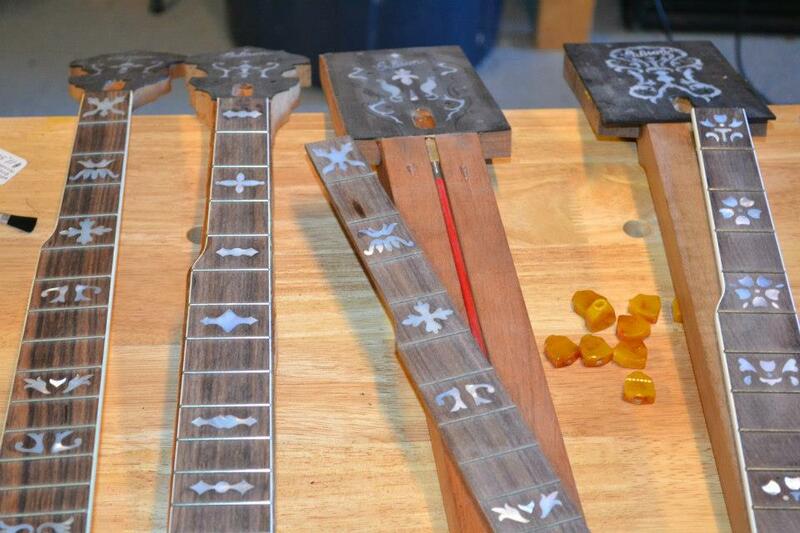 The links below will give you a glimpse into the daily life of a luthier from a banjo repair specialist’s view. The articles were shot and written beginning in the late 1990’s until present, so some of my techniques have changed a bit. I think you may find some of these articles useful or at least informative. If you choose to follow any of the articles as if they were a do-it-yourlelf instruction I will caution you that sometimes it isn’t knowing what to do that will get you into trouble, but rather it is not knowing what to do when what you are doing doesn’t go the way you hoped it would that will cause you the most angst. Please visit my site often as I constantly add articles, tips and how-to information that is usually coupled with great photographs.